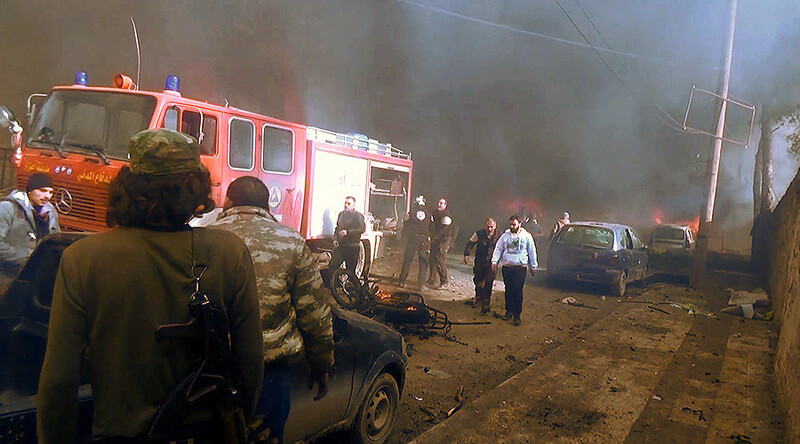 A car explosion has left up to 60 people dead and dozens wounded in the rebel-held northern Syrian town of Azaz, according to the Turkish Anadolu news agency, citing medical staff on the ground. A car bomb was detonated near the local court, and there was a great damage to the area, civilian defense officer Iyad Sheikh Razuk told Anadolu. At least 60 people lost their lives and over 50 more civilians were wounded in the attack, according to local doctor Ebu Hasan, who works in the district hospital, as cited by the agency. There are conflicting reports over the numbers: according to the sources of Sputnik news agency, 110 people were wounded in the blast. The blast was heard in the Turkish town Kilis across the border, and a local hospital received 23 wounded victims, local media reports. A number of photos and videos, purportedly from the scene of the blast, are circulating online. RT cannot confirm their authenticity. Turkish Dogan news agency said that the Islamic State (IS, formerly ISIS/ISIL) was responsible for the blast. The latest news come amid a nationwide ceasefire in Syria, brokered by Russia and Turkey, and welcomed by the UN Security Council in December 2016.